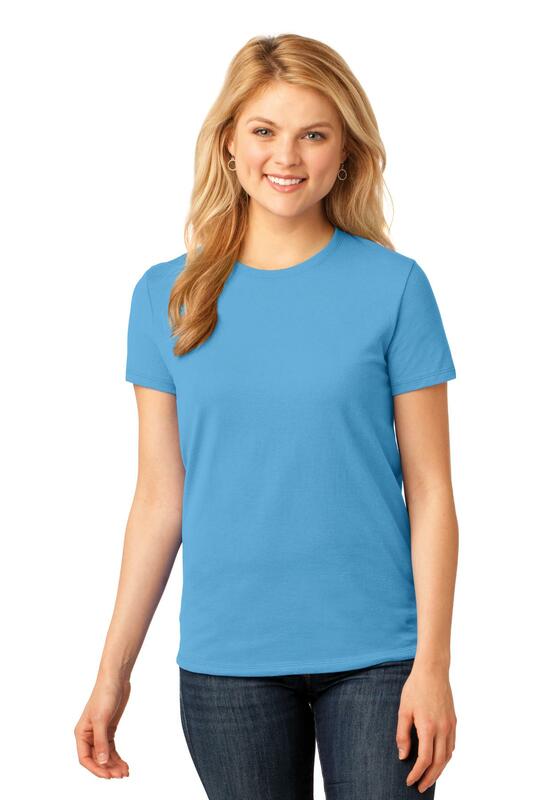 An indispensable t-shirt in our classic silhouette--with a very friendly price. 5.4-ounce 100% cotton Contoured body for a feminine fit Tag-free label Shoulder-to-shoulder taping Coverseamed neck 1x1 rib knit collar Side seamed Double-needle hem Ash is 98/2 cotton/poly Athletic Heather is 90/10 cotton/poly Neon Blue Neon Orange Neon Green Neon Pink Neon Yellow Dark Chocolate Brown and Dark Heather Grey are 50/50 cotton/poly. Due to the nature of 50/50 cotton/polyester neon fabrics special care must be taken throughout the printing process.